Markey Funk flys in from Jerusalem to present his take on the heavy fuzz and psych sounds coming from his Delights label. DJ Food brings his AV ode to Boards of Canada – O Is For Orange – to the big screens with exclusive visual extras. The Karminsky Experience Inc. grace the decks with their selection of swinging library, soundtrack and beatnik grooves. And just when you think you’ve heard it all, Pete WIlliams pulls out those special audio treats he’s been hoarding for just this occasion, all accompanied by the sensory overload of the Further slide, oil and video projections. 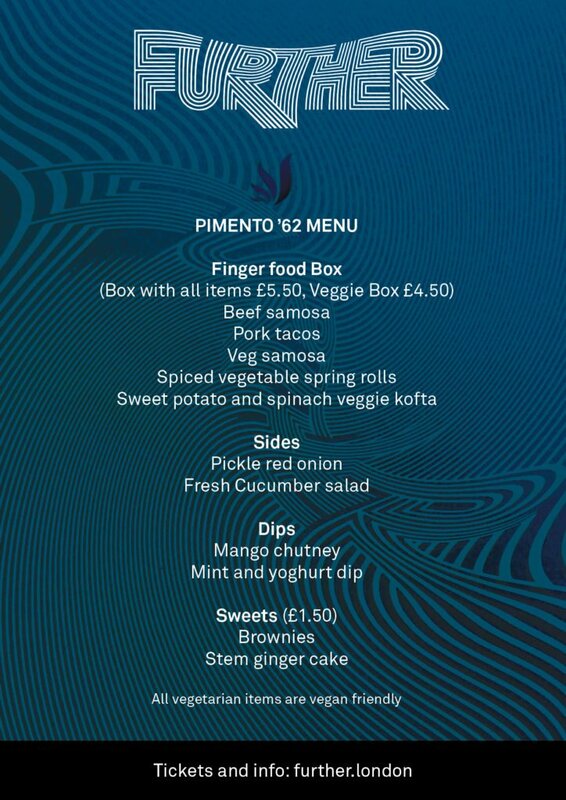 Delicious food will be available from Pimento ’62 Catering and a fully licensed bar. Here is a preview of some of the sounds to expect and a link to more info and the last batch of tickets!